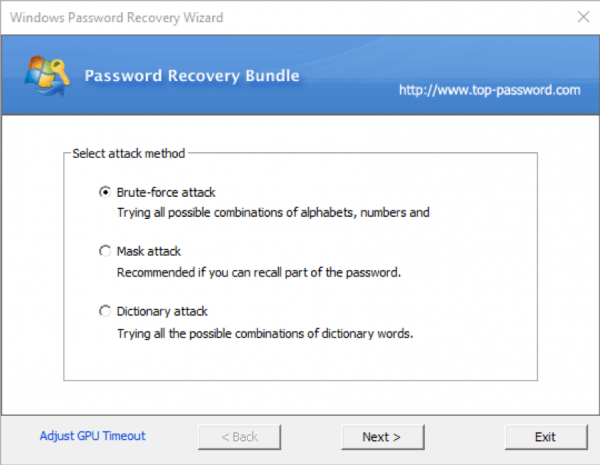 You can use Password Recovery Bundle to restore administrator access to your computer. Password Recovery Bundle allows you to either create a bootable media for resetting a forgotten Windows password or it recover clear text administrator password using mask, brute-force or dictionary attack. 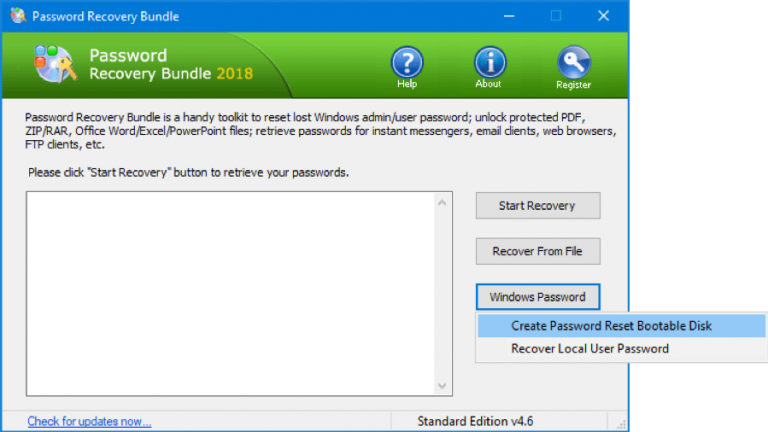 1.Download and install Password Recovery Bundle on any device you have Administrative access to. 2.Click on the “Windows Password” button. 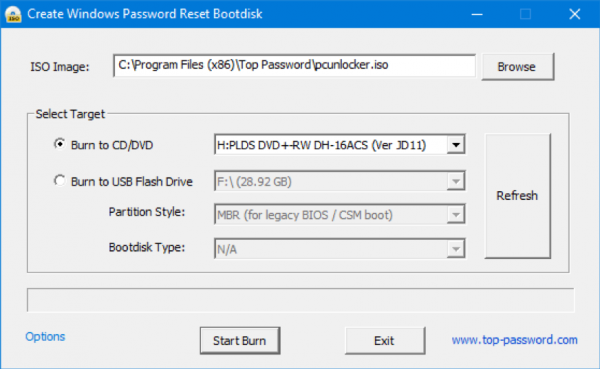 ->Create Password Reset Bootable Disk. 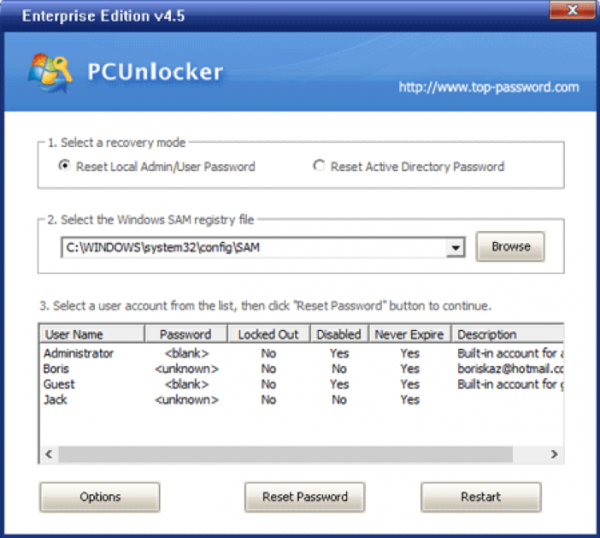 4.Choose the type of media in the to which you want to write the PCUnlocker ISO image “Create Windows Password Reset Bootdisk” window. 5.Click on the Start Burn button. 6.When the password reset disk is ready, you can boot any locked PC from that CD or USB to remove forgotten Windows password with ease. 7.Find the account you’re locked out of from the given list and click on the Reset Password button. Your forgotten Windows password will be removed in seconds. 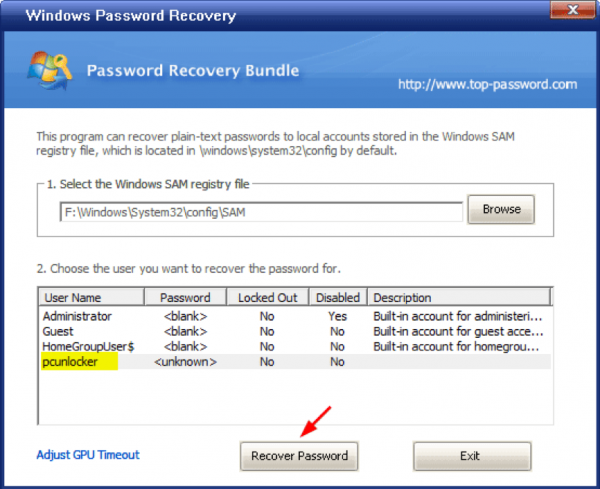 1.Click on the “Windows Password” button again and now you have to choose the “Recover Local User Password” option. 2.Click on the Browse button to select the SAM registry hive that you’ve extracted from your locked machine. Make sure to rename the backup copy of the SYSTEM registry hive to “SYSTEM”. 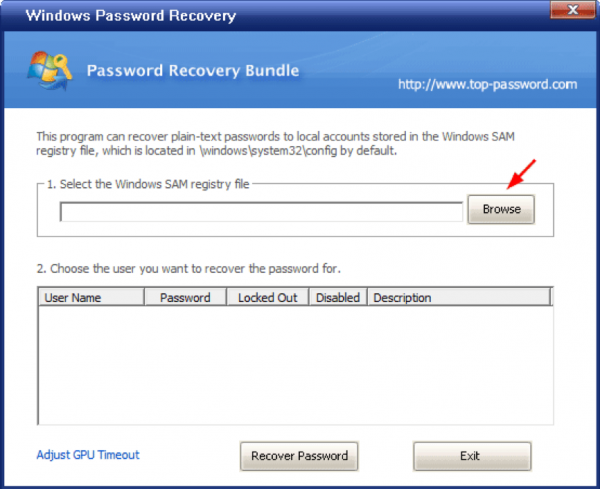 3.You will find all user accounts stored in the SAM registry hive. Select the account you want to crack, and then click on the Recover Password button. 4.Brute-force attack, mask attack and dictionary attack. You need to choose the brute-force attack for demonstration purposes. 5.In the next window you need to define your own character sets and the minimum and maximum length of the passwords to be searched. 6.Click on Next. 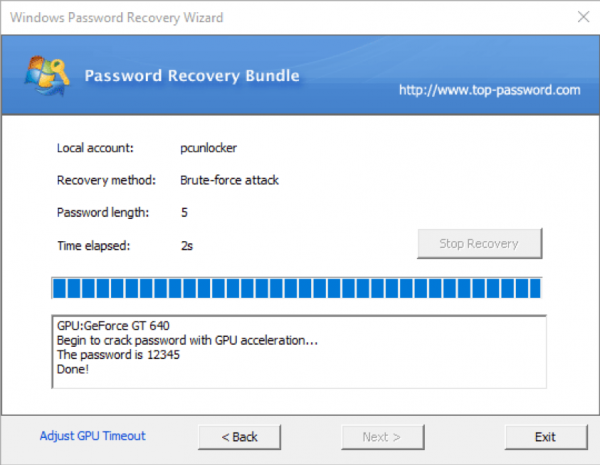 7.The program will utilize multi-core processors and GPU for acceleration the password search process. 8.Windows password is found then you can write it down on a piece of paper for safe keeping.